There’s no better companion on the road to reading than trusted learning pal, Reader Rabbit. Expertly designed that every stimulating play environment is alive with lovable characters and irresistible activities that build key skills like alphabet, math awareness and phonics, while nurturing all-important early learning confidence. "Reader Rabbit programs offer intriguing adventures, helpful feedback, and wonderful opportunities to put learning into practice." The Reader Rabbit software series has sold over 25 MILLION COPIES since 1993** Even the tiniest tots can experience the joy of learning with Reader Rabbit and friends. Discover stimulating characters, shapes, colors, and songs in a captivating series of interactive games designed specifically for children aged one to three. No mouse-clicking or other computer skills are required; your toddler can strike any key to move the activities along. The Reader Rabbit software series has sold over 25 MILLION COPIES since 1993** Put on your jumping shoes and bounce your way through this FUNtastic learning adventure with Reader Rabbit! Filled with colorful characters and exciting places, Balloon Town is more fun than you can imagine. 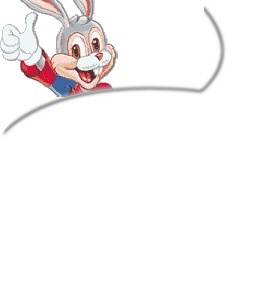 The Reader Rabbit software series has sold over 25 MILLION COPIES since 1993** What's up with the weather? Fly up to Cloud Nine with Reader Rabbit and friends to discover why it's raining umbrellas, raincoats, and galoshes! Your skills in reading, math, science, problem solving, and more will help you discover places like the Raingear Forest and meet colorful characters like the Cloud Queen. The Reader Rabbit software series has sold over 25 MILLION COPIES since 1993** Hungry for adventure? Join Reader Rabbit and friends as they explore Mt. Cheesemore Island! Use your skills in grammar, reading, science, fractions, telling time, and more to make your way through seven cheese-ilicious activities. Trust your child's precious early learning experience to the character who's been charming children for nearly 20 years. Featuring three top titles in one, Reader Rabbit® Preschool Variety Pack covers the full spectrum of essential preschool skills. An exceptional learning value! From Wordville Station to the carnival to the art studio and beyond, every Reader Rabbit play scene makes a perfect spot for learning. Featuring three award-winning titles at one great price, this diverse collection covers the full spectrum of essential kindergarten skills. An unbeatable educational value! 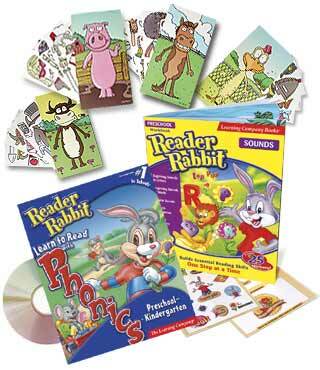 There's no better companion on the road to reading readiness than trusted learning pal, Reader Rabbit. Expertly designed for eager pre-readers, this delightful program gently guides young learners through 26 exciting Letter Lands and a dynamic Word Factory. Every stimulating environment is alive with lovable characters and irresistible activities that build key skills such as alphabet awareness and phonics, while nurturing all-important early reading confidence. Plus, an all-new second CD delivers twice the excitement, for doubly effective skill-boosting play. Build on classroom progress at home with a complete, multi-faceted learning system. Reader Rabbit's Math Ages 4-6 builds children's early math skills while enhancing their appreciation for numbers! As they play, children develop skills in counting, adding, subtracting, and recognizing number relationships. The activities allow for different learning styles, and the games may be set at several levels of difficulty, allowing children to learn at their own pace! Reader Rabbit's Math 6-9 builds elementary math skills as children help Sam the Lion, Penelope the Parrot, and Reader Rabbit explore Pi-Rat Island! Each of the nine activities is designed to improve children's math skills in fun and engaging ways. Music and learning go hand in hand in this colorful, whimsical sing-a-long romp. Packed with 20 songs covering important topics like sharing, teamwork and nutrition, it's a treasure kids will enjoy again and again.